Over the last ten years, Hypnoke International has supplied high quality audio communications and recording equipment to thousands of therapists in the UK and abroad. Many of our products have been successfully reviewed in the Journals of the leading hypnotherapy organizations, including the NCH, APHP and the GHR. The majority of our customers are 'non-technical' people and we have endeavoured to always provide easy to follow instructions with all our products, backed up with first class after sales service. 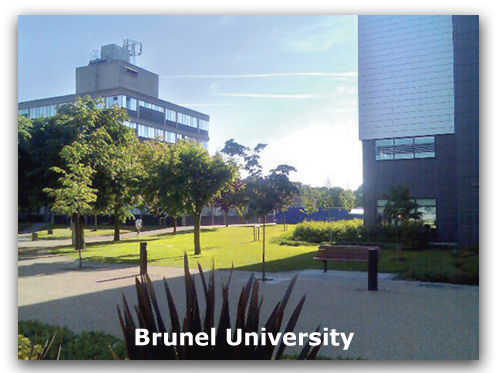 Hypnoke International recently commissioned a scientific study with Brunel University, a world leading research institution, to examine the effectiveness of Hypnoke DRS (Digital Recording System) under different experimental conditions. The results exceeded expectation. 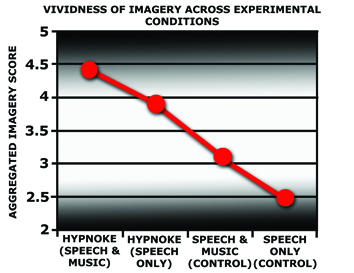 For the first time there is conclusive scientific evidence that proves how Hypnoke DRS, combined with the Colours relaxation music, can make a difference to the outcome of your therapy sessions. No other manufacturer of similar audio products, to the best of our knowledge, can make this claim. Following extensive Peer review, the article, entitled: “Effects of Voice Enhancement Technology and Relaxing Music on the Frequency of Imagery among Dancers,” has been accepted by the Journal of Dance Medicine and Science for publication. 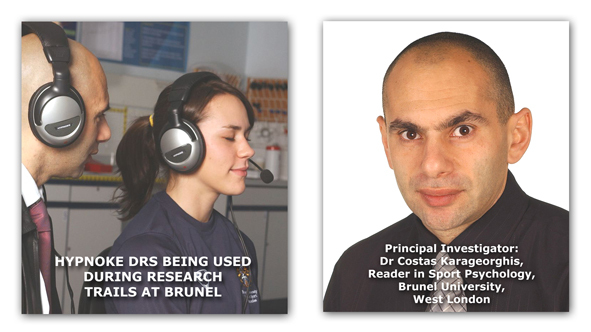 Click the download link below for a PDF copy of the Scientific Research Summary. So, if you want state-of-the-art digital recording and communication between you and your client with results supported by legitimate research data, the Hypnoke DRS is for you.